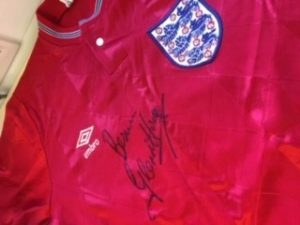 Today, football fans can bid for this signed England Football shirt worn by Glenn Hoddle on the 24th May 1988. Rous Cup at Wembley. 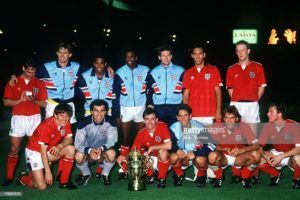 England v Colombia with England being the cup Winners. The auction will be on for four weeks, finishing Tuesday, 11th December at 10am. Thank you Glenn Hoddle for this shirt and we are wishing you a speedy recovery.